Many people dream of buying their own homes and securing their future. However, with the rising costs of houses and the unstable economy in the world today, more and more individuals have become discouraged about getting their dream home. With the help of Scotiabank Mortgage, you will no longer have to fear about your future. Scotiabank Mortgage offers customized solutions designed to fit your lifestyle and your budget. Apart from this, you can also choose from competitive interest rates and different plans to suit your needs. Interested in applying for a Scotiabank Mortgage? Read on to find out how. One of the best benefits you can get by partnering up with Scotiabank is getting a wide range of options and interest rates that fit your needs. Their secure fixed rate mortgage allows you to get a deal that won’t fluctuate or change over time. Under this offering, you can choose from open terms, flexible, or closed term mortgages depending on your situation. Open terms can help you get maximum flexibility. On the other hand, flexible terms allow you to get a fixed rate term for one year without having to shell out extra money. Lastly, the close term option allows you to get fixed payments based on a number of years for your choosing. Through this initiative, you can help protect your investments and your payments against interest rate increases over time. 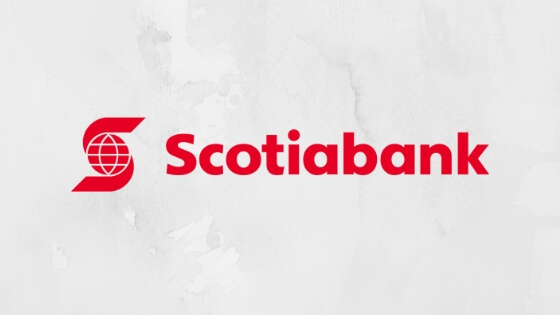 Another Scotiabank Mortgage offering that’s ripe for the picking is being able to take advantage of their Total Equity Plan. Under this, you will gain more control over the money you borrow from the bank through leveraging the equity on your home. Apart from being able to borrow funds that are up to 80% of the value of your house, you also have the option to separate your mortgage into 2 to 3 types of terms of your choosing. If you are interested in applying for a Scotiabank Mortgage, you can complete your application online via the eHOME feature on their website. Other options include talking with a home financing advisor or going to a branch near you. To qualify for a Scotiabank Mortgage, you must provide key documents such as monthly income, current monthly housing costs or rent, the value of assets, properties, and savings, as well as statements of your liabilities. Apart from these personal and financial documents and information, lenders will also need to look into your credit standing. The loan amount you can take out will depend on the term and plan you choose, as well as your credit history. The closed term fixed rate mortgages range from 3.6405 for 1 year to 6.290% for 10 years. Meanwhile, short term fixed rate mortgages have interest rates ranging from 4.750% to 7.250% from 6 months to 1 year. If you are in need of help in financing your future home or for renovating your current space, getting a Scotiabank Mortgage is just what you need. Apply now!